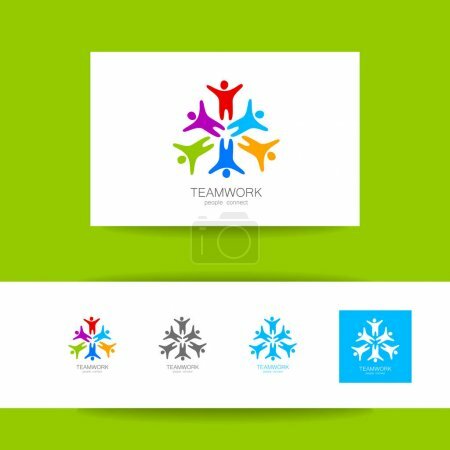 Social logo icon of people together - sign of unity, teamwork. Concept of group of people meeting collaboration and great work. Vector identity design .